As you all know, I’m currently on my exchange in Bangkok, without an oven. As such, I haven’t really been updating this space as much as I’d have liked. Ever since coming here, I’ve been on the hunt for an oven. The search was crazy. No one I knew had one and if they did, it just wouldn’t have been convenient for me to go over. I was really lucky this time cos Inez (one of my NUS girls) had a friend she made while she was on exchange in Taiwan, from Chula. 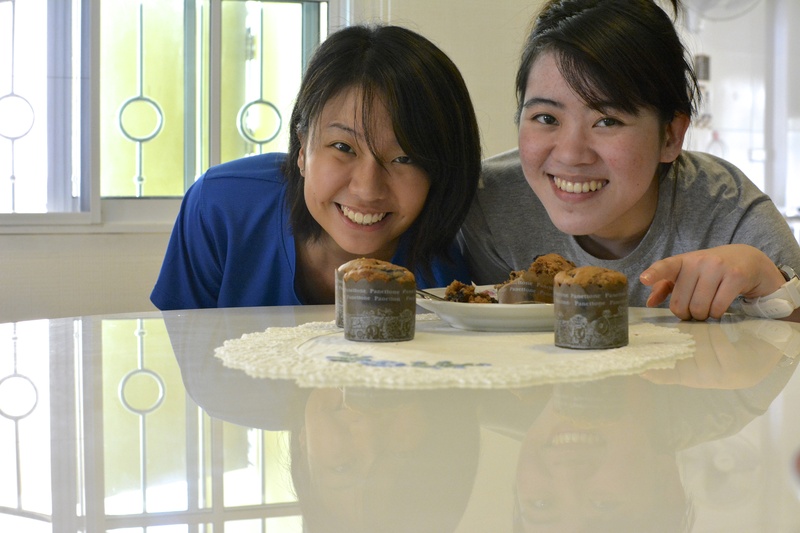 Jenny was super sweet & invited me to stay-over at her place & to bake. The funny thing was that no one had ever used the oven in her house. I was the first person to use it, to figure out how to operate it, and so on and so forth. Also, because no one bakes, there was no KitchenAid for me to use. Everything had to be done by hand. Refusing to go back to whipping egg whites & creaming stuff in the most painful manner as I did when I was in Paris, I searched for a recipe that only required melted butter or oil. 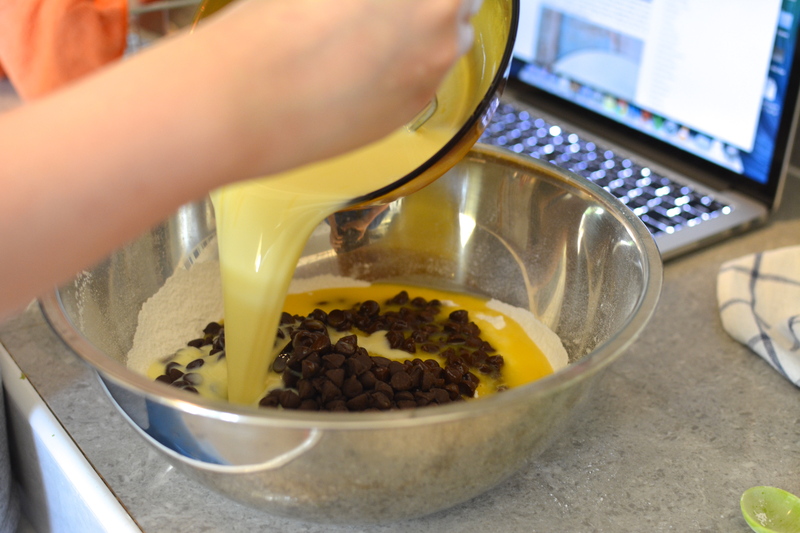 This way, I wouldn’t have to cream anything & just needed to mix it well and not overly. Also, because there was no weighing scale, we had to buy measuring cups so that we could get our proportion of ingredients. This was probably one of the first few times I worked with cups & spoons. I guess having stuff measured that way really comes in handy, should you not have a weighing scale. I took a few recipes together & modified them to get this. 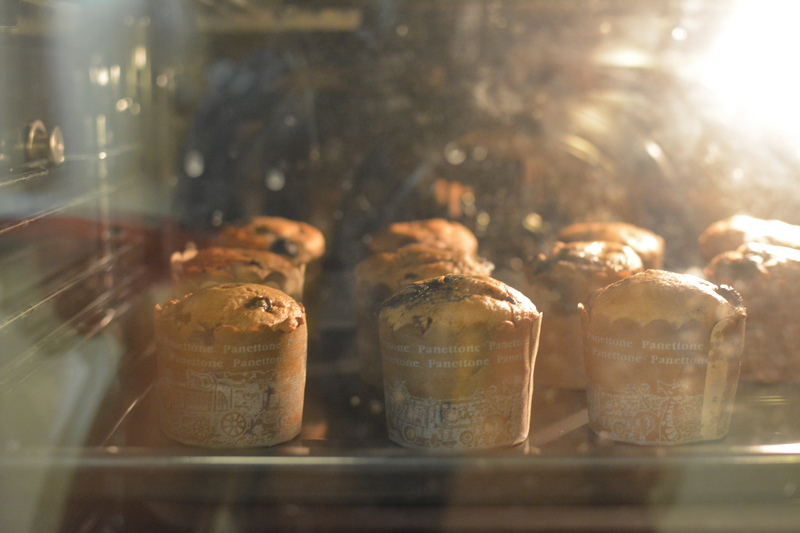 The smell was fragrant and the muffins nice and fluffy. The next time, though, I’ll definitely add more blueberries. 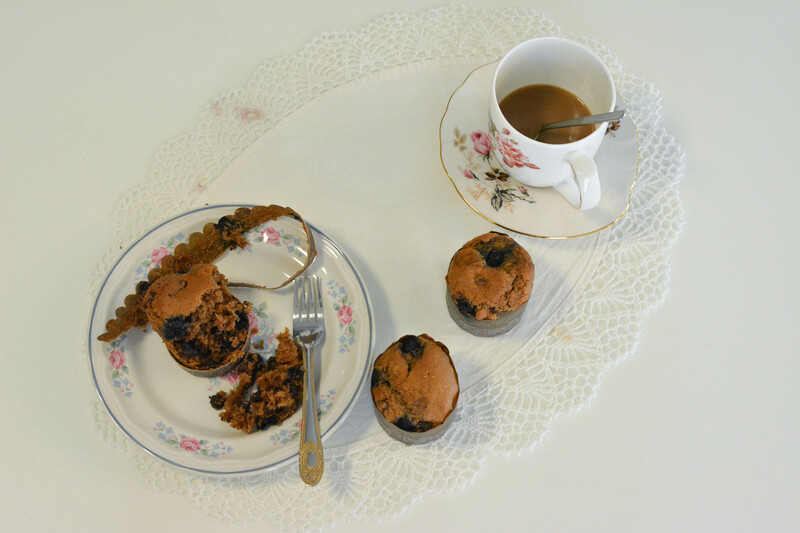 These muffins are perfect for breakfast and even for tea. They’re so simple, versatile & scrumptious that anyone should have them! 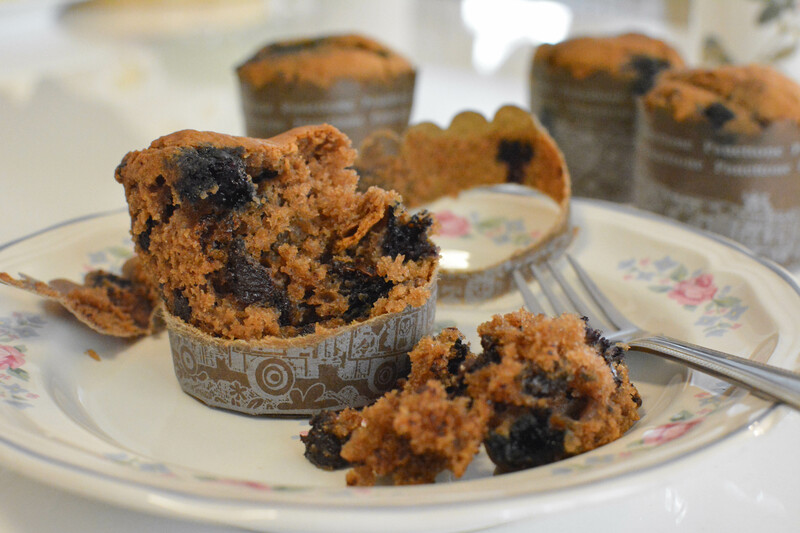 This easy muffin recipe is definitely a must-try and I hope you guys like it. Will definitely give this a try. Thanks for sharing this Eugenia. Great that you had your baking fix….God bless.